I am having some issues on ubuntu 12.04 where it will give me the terminal screen but not the actuall desktop or just a blank gray screen any ideas? Did you run the RDPsesconfig.sh tool? Yes I just reinstalled from 12.04 to 13.04 its running now but everytime I reboot I got to manually start the service. Hmmm, I'll install 13.04 again in a VM and test it – come back later and check for a reply. Okay, so I ran o-matic in a fresh install of Ubuntu Desktop 13.04 and could repeat your results. The reason: The debian created Debian package does not install the run-level start/stop scripts. /etc/init.d/xrdp IS there, but without the additional run level scripts, it won't be started (or stopped). Your solution : use sudo update-rc.d xrdp defaults , then reboot – you'll find xrdp starts on system boot-up from now on. Thank you for your fast response and that sounds good to me I do have another question When I run sudo ./RDPsesconfig It does not show the normal gnome 3d desktop or the 2d one in the list would this be because its not installed by default? 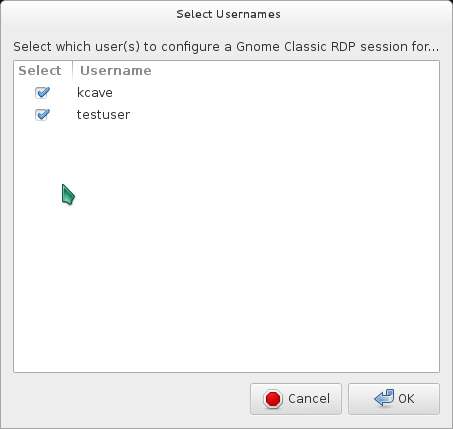 The Gnome Shell will currently not work over RDP – it requires 3D accelleration, which currently xrdp does not have, and you'll probably be waiting a long time for – so I don't include it as an option. The 2D version is called Gnome Classic, and should be available in the menu. It appears there when I run it in Ubuntu 13.04. Lastly, I'll probably never include Unity as an option either, as that also requires 3D accelleration – and falls back to a VERY slow non-accellerated version if it doesn't find it – it would make RDP sessions painful to use, so, no, I don't recommend it at all for RDP. Really, for RDP, choose a lightweight desktop such as gnome classic, LXDE, and equally nice XFCE4. Ok thanks I am using LXDE now just never used it before. Thank you for all of your hard work. Hmm odd – works for me on Debian… do you have an /etc/init.d/xrdp file there by any chance? Sounds like the service didn’t start. If you have that init file, try sudo /etc/init.d/xrdp start – see what the output is. This worked fine for me, thanks! I was looking for an rdp client for my mac, OSX 10.8, and I found and installed this before I realized MS had it's own client for that, big DERP. Anyway it works great for VNC but it really messes up the MS RDP client since it calls XRDP to ilnit the connection at some point instead of whatever was there before. Anyone have any suggestions as to how to fix this short of OS recovery? I'd really appreciate it. Thanks! Er… um… frankly, I'm a bit flabbergasted. The description specifically says it's for Debian-based distributions – that's Linux, for one. How on earth can o-matic even sensibly run on a Mac? That's two. And thirdly, this installs an RDP server, not a client. I really, really do not know what to say. Yeah I messed up. +1 for being so cool about it, you're awesome! Confirmed working: Ubuntu 13.04 64-bit Server with lubuntu-desktop. If you want to use LXDE instead, just substitute xubuntu-desktop for lubuntu-desktop above. Hmm this should not be the case… I'm installing Ubuntu Server 13.04 now to investigate. EDIT : Yep, your steps are completely unnecessary – see my other reply. I’m not seeing what you’re seeing. I installed Ubuntu Server 13.04, and did an apt-get update, apt-get upgrade. I then got X11rdp-o-Matic and ran it. I then ran RDPsesconfig and installed LXDE for my user. I could then log in fine and got an LXDE desktop, logging in via the xfreerdp client. I have no idea why you got the connect error problems you mentioned above. I do know one thing – installing the Ubuntu xrdp package beforehand is completely unnecessary. Step 3 – install git is all that is needed – RDPsesconfig will install any packages necessary for the selected desktop. Step 5 – you’re missing sudo. Built it on Ubuntu 13.04, to replace distro’s xrdp. The distro xrdp, which worked fine in earlier versions, had a bug which would start a new session each time you disconnected & reconnected, rather than reconnecting to an existing one, which is why I came here. This one works well, and I can now use X11rdp, rather than Xvnc. It seems a fair bit faster. Like the resizing feature – quite nifty. I've installed your package (using –justdoit) and I'm experiencing the following problem. Following the installation and RDPsesconfig instructions – I've attempted to connect via a RDC client to the UBUNTU (12.10) machine, get the module prompt window (select=sesman-X11rdp) and enter my authentication information. The system gets up through "connecting ok" remains blank/black and then the client window closes. I believe I've resolved the issue – guessing I had some previous configuration cruft lying around that was over-riding the .xsession file. Dave, glad you got that sorted out. I test the tool on pristine copies of freshly-installed distros. WHen someone comes up with a problem, unless it’s an overall bug with o-matic itself, it’s usually to do with accumulated cruft on a system as it’s been used throughout its lifetime – just one of those things, and it makes it difficult to come up with a conclusion from a distance. I’m not having much luck with compiling and installing. I’m getting stuck on downloading libxml2. Below is some more detail on where I’m at. 1. New build of Ubuntu 13.04 on VM. 8. Install gets to ‘downloading file libxml2-sources-2.7.8.tar.gz’ and then stops, eventually installation reports ‘aborted’. I just tried a wget ftp://ftp.xmlsoft.org/libxml2/libxml2-sources-2.7.8.tar.gz and it works fine for me. Are you sure this really isn’t a problem with your proxy or internet connection? Apart from those, I can’t see any other reason why that wouldn’t donwload, sorry. Thanks for the response Kevin. I’ve got it all working nicely now and it looks like my initial issue was due to the ftp_proxy variable. Despite this being set correctly and your wget example working the script still hung. I edited /etc/environment and added both uppercase and lowercase directives then restarting my terminal and it worked. After logging in via RDP I did observe on the physical terminal the gnome-settings-daemon crash that other people have mentioned here and that you wrote about in your policykit blog. Did you end up creating that policykit GUI tool which you mentioned? Anyway thanks for your hard work, great tool, much appreciated! As for the policykit thingy – yeah, I’ve still got that on my To-Do list. 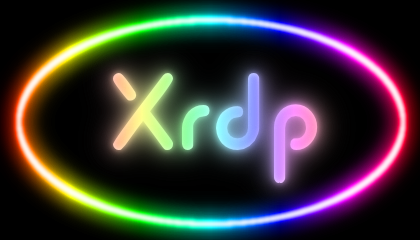 I’m in the middle of developing another xrdp-related tool which will hopefully be unleashed sometime…. soon ;) Then I’ll begin work on a policykit thingy. The actual symptom is that the RDP client is turned off imediately after I try to run Firefox. The errors are logged whether I run Firefox or not anyway. Other applications look fine. Only running Firefox causes shutting-down the client until now. I think this problem doesn't come from your script. I think this is the problem of either xrdp or x11rdp, but I'm not sure. I just leave a comment here just in case that someone knows about the solution. If it is the case that it's an xrdp/X11rdp error which is being triggerred by Firefox, then it'll have to be reported to the xrdp/X11rdp dev team. I'll install 12.04 LTS in a vm and see if I can replicate this. Come back later to read further updates. Okay so, I installed 12.04 LTS in a virtual machine, did all the updates, and ran X11RDP-o-Matic to set the VM up as an RDP server. After logging in, yes, I get the same system crash error as you do. This is probably related to the PolicyKit/ConsoleKit issues I’ve written about on this blog. Basically, the default policies installed on Ubuntu and other distributions don’t take remote RDP users into account AT ALL. If you log in remotely, then you’re an “inactive” user – it’s weird, it’s annoying, and it’s something which should ultimately be addressed by whoever comes up with these “great” ideas. Anyway, have a look at my PolicyKit blog entry and you’ll understand a bit more of the issue. As for the Firefox errors – well, I didn’t get those when using the xfreerdp client from my Linux workstation to the VM. Nor do I get that when I connected using the mstsc client on Windows 8, so, I don’t know what’s going on there. Kevin, thank you so much! Now I understand what happened to me, and I’m a little bit relieved(?) it’s a problem that happens only for me. ;) About Firefox, I will try to find out what’s the problem is by myself. I am struggling with a Firefox / Chrome problem. The session from any client to the RDP server works great – stateful and perfect but as soon as I open Firefox, the session crashes causing the client side to exit (segfault maybe?). I then tried to use Chrome and it also has a tendency to crash the session. I am unsure where to look for log errors but will gladly report errors to the right places once pointed into the right direction. I am running the service on Ubuntu 13.04 (amd64) in a Xen Dom0 that has a Nvidia graphics card using propreitary drivers. Someone else had this problem… I’m wondering if Firefox & Chrome are trying to use graphics accelleration which under RDP isn’t available or is in some way incompatible with the older Xorg libraries being used by X11rdp? Perhaps the best place to report that problem is on the xrdp-devel mailinglist, which can be found at : https://lists.sourceforge.net/lists/listinfo/xrdp-devel . It’s running with an Ubuntu 12.04 LTS desktop installation, which was installed with WUBI and is running as a Windows service with coLinux. I can logon to the X11RDP with the Windows Remote-Desktop-Connection and use the Ubuntu “sevice” under Windows without any problems. Very excited about the prospect of using this but just wondering if you do any testing on AWS instances? I’ve been trying with the beta and now this full release but can’t quite get it working. I ssh in, give the default user (ubuntu) a password and then use screen to let the O-Matic commands run while i’m not logged in. It usually completes the setup, but then when I try and login (using the MS RDP client or Jump on iOS) then it fails at the “xrdp_mm_process_login_response:login failed” bit (or on ios I get graphics but no fonts. Sorry for blow-by-blow list of commands, but am hoping it willl help you spot what I’m doing wrong. Any advice gratefully received. I’ve not used or tested AWS. In theory they should behave in the same manner as any other debian-based distro – although if some things have been altered in the AWS-provided images to get them working on that platform, perhaps that’s what’s causing the oddities you describe above. I’m starting my own business, so perhaps some time in the future I can invest some time and money investigating things like running this in an AWS instance. Also, what happens if you create a normal user and just use RDPsesconfig for that one user? But that made me wonder about logging in with a password, which of course I hadn’t done owing to ssh access with a key. So I tried changing ssh config to allow password login, then logged in with password over ssh. After that, login with xrdp worked, even if ssh password login was disabled again. btw – is there another way to donate apart from bitcoin? I inadvertently removed the paypal donation widget (on the left sidebar) at some point in the recent past – herp derp. Many thanks for the script. It works fine on a Debian 7.01 LXDE. The only problem is the keymap. I am using rdesktop from a Debian Wheezy netbook (LXDE too) with arg ‘-k de’. But xrdp session uses en-us. Trying to find out what’s wrong. Previously I used xrdp with xnvc4server and the keymapping worked fine from my german client keyboard on the german xrdp server. The keymaps are something I’ve not bothered with, to be honest, BUT, try reading this : http://xrdp.sourceforge.net/documents/keymap/newkeymap.html , it’s an old document but it may help. … the /opt/X11rdp/bin/X11rdp binary could not be found. Did the compilation complete? Stopped. Please investigate what went wrong …. After investigation I found out that additionally package libfuse-dev has to be installed. Try running the whole thing again. Perhaps you had problems at the package download stage? Commpilation/installation/running without problem. Now I have one version running under an old Vmware Server 2.02 in my LAN, annother one remotely under ESXI 5.0. The performance on the remote machine is quite good, better than inside the Sphere Client, but a windows machine on the same ESXI machine is a tick better, but only a tick …. Very good, clipboard is working, multi user is working, file redirection is a bit unstable (sometimes crashing). Sound not yet tested, I’ll try that later. Printer redirection would also be a great feature …. Today I’am trying Mint14 – at the moment still compiling. I pray that it is building – cause I need evolution-ems at least version 3.6 (support of exchange servers). This version is not available in Mint13…..
Linux: One problem solved, next is greeting hehe ! I have just installed X11rdp on Bodhi linux. seems all to work fine. When I had configured it with LXDE, it allows me to log in and see LXDE desktop. I it possible to configure it with E17 ? Actually, I just tried it, and it works. Put this in your user’s .xsession in their home directory : /usr/bin/enlightenment_start . Just that. It got me an e17 desktop – e17 complained about certain extensions missing from the X server, but that’s to be expected. I also did get a “e17 has segV’d” message, but after pressing F1 to recover from that it seemed to work. So yeah. Interesting. I may just add that as an option, if it proves stable enough. One thing I did notice though – I had problems logging out of the session, which was – it didn’t. I had to manually kill the processes involved. Great work on the script works great on the latest Xubuntu. One question how do I make XRDP resume from the desktop session? Or in the windows world that would be connecting to the console session. Glad the tool worked for you though. You can add Mint14 as supported system. Your script is working as expected ! There was only one problem. After installing your package xrdp was not started automatically. I removed it, installed the package from official repo, and reinstalled your package via dpkg -i xrdp… again. Now everything working perfect. I have an (backup) server (vserver) hosted by strato (big provider here in germany). The distribution is an extremly small server version – this type of linux normally is thought for web hosting. But why not use such an system as linux terminalserver ? SO i installed everything necessary to run X and tested it with xrdp-vnc. Runs as expected – bitmap transfers …. Yesterday I decided to start compiling x11rdp on that machine with support of your scripts – my already compiled version was not compatible (AMD vs i386). Already after 10 minutes compiling was interrupted – dependancies … !! I tried to document it systematically so that you can update your scripts. Cause it is not a productive system I can kill the OS everytime and we can start at the beginning (in case you release an updated version …). I compiled it all over the day finally at night the job was done, please see the problems in detail below. Now I also know the reason that my first attempt failed to bring x11rdp onto Ubuntu 12.04 (on local machine / see posting from this week). Cause I observed the same problem on the strato server. RDPsesconfig does not install this package and so no window manager. But because you create .session to home folder no fun during login …. Late late at night it was done and I had an first impression of xRDP. Really not bad – but from my local tests I had expected a better performance. I think – and I know that from my daily work – transfer of bitmaps is always a problem via RDP (surfing, looking at pdf and so on). But I have a really good connection to the internet and that that server (DL 50MBit/UL 10MBit). I think there could be more – but ok that is not in our focus to improve that …..
AFTER THAT I WAS A LITTLE BIT P….. So I decided to go from folder to folder and do a ./configure manualy …..
Hi, working fine in Mint 15 so far. Great work dude. Did something break on the internet? Phil, have you tried downloading that file manually to check where the problem arises? Do you use a proxy to connect to the internet? Someone else had this exact same problem and found it was his proxy settings. And someone else just pointed out that the download URL for that file has been changed. I have just emailed the X11rdp author(s) about it and I hope they make the appropriate change upstream soon. I’ll let you know when that’s been done. Same error no proxy can’t access the file from several sites. Yep, download location of that file is changed. Waiting for upstream authors to fix. Try downloading v3.0 again from the git repo – I have added a temporary fix to get X11rdp building, for the time being. Try downloading v3.0 again and running that – I added a temporary fix to o-matic. How can I fix to continue building using -justdoit option ? I have just emailed the X11rdp author about this. I will let you know when/if the X11rdp source has been updated to reflect this change. I could try to make a temporary patch in o-matic, but really, it’s better to get the upstream change made before thinking about that. Is that the one you are using? All the others appear to work ok.
Kevin, Thanks for the prompt responses! I have a question if you don’t mind…. I’m installing ‘o-Matic on a distro which already has X and XFCE installed. From the messages that fly past while running your script it appears to be downloading and compiling another version of X Windows. So when it is finished, do I have 2 separate copies of X taking up space & CPU on my system? I’d like to avoid duplication because I am trying to make a “minimal but works nice with MS Windows” customised distro. Phil, yes, indeed, you have a seperate install of an Xorg tree. The X11rdp back-end is built against a known “blend” of Xorg, and unfortunately, this also means it needs the various bits that it was compiled against. The reason for this is that the Xorg upstream source is constantly changing, ABI’s get changed, and it was a pain for the author(s) to keep up with these changes – Xorg gets updated on a regular and rapid basis. So he chose to use a particular snapshot of various versions of the Xorg tree to build the X11rdp back-end against. Everything goes into /opt/X11rdp, and should not interfere with the distro’s version of Xorg. I have asked the X11rdp author whether it’s possible to build X11rdp without a ton of those downloaded sources (e.g. Python, the numerous fonts and so on), and he’s replied that yes it is possible to do so. It should also be possible to eventually get X11rdp incorporated into the Xorg source. I may look into having a next iteration of o-matic automatically trim down the X11rdp build – not only would this save disk space, but it would save a heap of time as well. This however would be a big task to research and come up with a working trimmed-down X11rdp build. Hi Kevin, just to let you know it is working again for me. So you can add Turnkey Linux http://www.turnkeylinux.org/ to the list of supported systems. I used the 13.0 RC2 version of the fileserver appliance which is based on Debian Wheezy. I have updated V3.0 with a temporary fix to get X11rdp building again – try downloading it again from the git repository and running it. It is failing to download module Mesa-7.10.3 and aborting the build on my Mint 14 VM. I haven’t tried on other VMs yet, as this is the one I generally use for my Android builds and have the most need for remoting to in order to fire up the builds. I don’t see any commit on https://github.com/scarygliders/X11RDP-o-Matic.git. The error is still there. Please advise if I can just continue build. Everytime, I execute script it deletes, downloads and rebuilds all packages. The “fix” works by me copying the buildx.sh file into the o-matic tree, editing it to have a working mesalib source download link, and then overwrite the upstream-provided buildx.sh file after the X11rdp source has been downloaded. xchown: invalid user: ‘for:for’ Creating .xsession file for for in with entry “startxfce4”.. Instead of seleceting All Users, did you try selecting individual users? Also, what Distro are you running it on, so that I can install it in a VM and see where RDPsesconfig is going loopy? You should never log in as root, and only use a system as a standard user. It’s basic Good Practise. Didn’t get a choice, was after selecting xubuntu(xfce) then it just did it. I’ll try with xubuntu 13.04 and see if I get similar results. I’ve not yet tested it on my raspberry pi – others have reported success with o-matic v2.5 in the past. Have you tested it on your RPi, Kevin? Did it work? What about this cross-compilation idea? Are there binaries for RPi available somewhere? Should I just give it a try with 2.5? Give v2.5 a go though – I’ve had people reporting success with that version. Like I said, give v2.5 a try. I’ve hardly powered my RPi up since I bought the thing. And I don’t expect you to spend that much time! I’ll just go with 2.5! And once more, thanks again for that!! Both “X11rdp-o-matic –justdoit” and “RDPsesconfig” worked fine on my Lubuntu 13.04. Great tools! Thank you! Just experimental but audio worked fine too! by using MSTSC Windows client with no client modifications. Edit PULSE_DIR at the top of the file to point to the directory you extracted pulseaudio-4.0 source. Hajime-san, thanks for all your input – very helpful! would you integrate the audio support to your installation scripts and could you enable the drive redirection (see at: http://www.xrdp.org/index.php?option=com_content&view=article&id=17:drive-redirection&catid=2:documents&Itemid=7)? Both would be very helpful for me and other. I’ll have a look into that. Just tried with a Debian minimal with XFCE and another with LXDE and it worked. really nice! But it said: “The detected distribution is : .” on both installs but worked just fine. You’re manually installing LXDE? DOesn’t the RDPsesconfig tool work? I’ve tried your tool (thanks!) and prior just installing xrpd using apt-get. Both with the same results. The results are sadly not good. I see a window with a box showing a drop down box that is empty and buttons with no text on them. I see the XRDP logo on the window as well. Not sure what is failing but it fails for both. Any chance of a screenshot? I am unable to picture what you’re describing. That looks awfully like a fonts problem, as if the fonts – which should have been compiled as part of the X11rdp back-end – didn’t get installed. Try running the o-matic script again to recompile/reinstall. It’ll overwrite the old installation with no problems – I’ve done this myself today to test stuff. If that still doesn’t work, then I’m at a loss, frankly. Just installed it in a fresh install of Xubuntu 13.04 with all updates and I don’t get what you’re reporting. It’s working great. I’m trying this now. Only this time instead of running the script while in a terminal shell on the Linux box I’m using SSH from my Mac. And there is a difference in the run. Only a small part of the run showed up as anything but scrolling text when I did it on the Linux box. On my Mac I see more like a curses window with the output showing in there in a window. If you’ve fully read the release announcement, you’ll see that there are two modes to the X11RDP-o-Matic script – “interactive” or “non-interactive”. The latter is gotten by using the --justdoit option, which is fully automatic. You’re probably in interactive mode. Perhaps that is the difference I saw. I didn’t see a difference in behavior so I removed the packages it created. I will try again with a fresh xbuntu when I have a chance. Thanks for you help. ***THAT’S*** what I call a script! I bow to your awesomeness Kevin, fantastic job! Installed perfectly on Mint 15, thank you. first of all, I would like to thank you for your Creation. We plan to build a linux-server-rdp in our company, but the Package wont work out of the box on our Systems (deb wheezy/jessie x64). i keep getting command not found when i use –justdoit !! any ideas ?! is giving up on the download really fast. I’ve no idea why you’re having download problems – it’s either a problem with your internet connection or a problem with the xrdp repository. I don’t get that problem, but I’ll ask the xrdp guys just to make sure. this is the whole log of the errors i got. After this operation, 1254 kB of additional disk space will be used. There was a problem… the /opt/X11rdp/bin/X11rdp binary could not be found. Did the compilation complete? Stopped. Please investigate what went wrong. Ayman, you appear to not know how Linux works. Also, it appears your VPS installation is extremely broken – I’d fix those two problems first if I were you. Lots of others have also tested it and it works for them – see various reports of success on the blog. I have also tested this on Ubuntu – I presume it’s Ubuntu – 12.04, both 32 & 64 bit without problems. I honestly don’t know why that’s happening – did you try a reboot? There could also be something wrong with the image you’re using to install on your VPS. I really don’t know, though. no problem, it’s working as it was before as xvnc so no worries, thanks for all the help and you’ve done a great work with this. Is there a way to save session for xvnc at least ?! It’s been a while since I used the VNC back-end. What I do know is, if you want to reconnect to a disconnected session, then you need to reconnect using the exact same colour depth and Width/Height settings as when you created the original session – oh and also the same user. i moved a bit from where i was stuck but now i get this error when trying to RDP. When i try to connect from Windows 7 i just get a black screen. terminated after a few seconds. and a lonely mouse cursor. I’ll need to try it on LMDE 201303 – but I’m working on other cool stuff at the moment so I’ve put this on the back-burner for now. fast remote connection solution .. GET HACKING! I ran the –justdoit command and after about 20-30 minutes and a reboot it works perfectly! It’s a tad slow but I think that’s just my server. Do you have any tips to maybe speed up performance? Not a big deal…definitely quicker than VNC. I’m running Ubuntu 13.04 desktop. After rebooting xrdp was started correctly. Receiving objects: 100% (201/201), 63.76 KiB, done. Should mention I’m using Lubuntu 13. Thanks so much for your response. Adding the .sh indeed worked! I then checked .xsession It contains “startlubuntu”. Which seems about right. I tried changing it to “startlxde”. No joy. Put it back to “startlubuntu” since that seems like it is the correct setting. I changed the permissions on .xsession to make sure it was executable by everyone. Again, no joy. Try connecting at 16bpp colour resolution from the client. Looks like it might be to do with the X11rdp back-end. o-matic is effectively an automatic build/install tool for it. “There was a problem… the /opt/X11rdp/bin/X11rdp binary could not be found. Did the compilation complete? It looks like the X11rdp back-end did not properly compile. Try running it again. Oh, when you ran it the first time did you use the --justdoit option? The very very first time I ran it I used the “–justdoit” option. It also failed, so I did an rm -rf of /home/andres/X11RDP-o-Matic and started all over again with cloning the git repo, etc. and running the script interactively. It failed just the same. Looks like that Python tarball isn’t right in some way – either incorrect at source or is for some reason corrupted during download. I changed the proxy and now it downloads correctly. Is copy-paste working for anyone with Windows Remote Desktop -> Xrdp -> Ubuntu 12.04? Mine doesn’t no matter what I try. Can we have it read in environment variables like http_proxy from a site-wide location like /etc/profile ? Or any way at all to provide them to the script via arguments ? Your normal user account probably has the http_proxy ENV variables set up, which is all well and good. Then, when you type sudo, you find these aren’t set anymore. That’s because when you use sudo or su, you’re now using root’s environment. If you also haven’t set up these in root’s environment, then you’ll obviously have difficulty. So, it is something else. Edit: Hmm that should have worked – unless your sudo profile doesn’t have -E permission. Have you tried manually downloading a couple of the files from the terminal? Thanks for idea, but I still get the same error code. I wonder if it is only this proxy server that is being difficult. By now I’d be highly suspicious of that proxy, yes. The system administrator helped me get it working. I had to set the https_proxy variable. I was focused on the HTTP proxy the whole time ! Although, previously I could login, but now I get an error xrdp_mm_login_response : login failed. The reason I was using this script is I wanted to keep open applications between logins. I re-ran it, and redirected the progress output to a file. Does this help identify the problem ? It seems that it’s installing an old version. Version 0.7.0. My thinking was wrong. Version 3 is the version of this script, not xrdp. This downloads and builds & installs v 0.7.0 of xrdp/x11rdp , which actually is the latest version, and by the looks of the output, worked fine. I take it it’s all up and running? Did you run RDPsesconfig.sh after that to configure what desktop environment you’ll get when you log in remotely? Yes, sure, but when I try to login from Windows, I get the login failed. It worked before the script ran well with proxy settings. What else can I do ? I can confirm that the ~/.xsession file has gnome-fallback as the session value. Understandably, I’d have to see your exact server setup in order to find out why you can’t log in. Reasons for not being to log in are many – and as stated above depend entirely on how the RDP server is set up. The default setup you’ll get after installing from the o-matic scripts will authenticate local users against their /etc/passwd & shadow user accounts, just exactly if you were logging in at the machine. If your server is joined to some Active Directory domain, or uses some other kind of user authentication, then you’ll have to configure the xrdp PAM settings to suit whatever authentication method your server uses. Like I said – without extensive insight into your server’s setup, it’s practically impossible for me to figure out why your server isn’t working, when at the same time there are many who have installed xrdp and are happily using it. Having an issue installing RDPsesconfig.sh: It is coming up with “Media change” and wants me to insert the Ubuntu disc. However, I installed through USB and this PC does not have a cdrom drive. I tried mounting the Ubuntu ISO directly to the /media/cdrom folder, but when I choose to continue the setup it just unmounts the ISO and returns to the same message. Is there a way to get RDPsesconfig to look in a different location? It’s because your package repositories are set to – probably – what was the CD/DVD used when you installed Ubuntu. Is there any way to use the Ubuntu repositories on the internet? If there is, then set your system to use those. Also, you’ll have to tell your system to not use the CD media. If you’re not sure on how to do that, there’s plenty of results in a Google search. So far, I have used this on three systems, and each one has installed flawlessly. Hi Kevin, love the script, beautiful piece of work! I get through the installation & configuration with no problems whatsoever but I do run into problems when trying to connect via RDP. Would this be out of your jurisdiction? I’m guessing this might be an xrdp problem and not related to O-Matic? Look in /opt/X11rdp/bin … is there an X11rdp binary there? Also, what’s the output of ps ax | grep rdp ? Also, what Linux distro are you running? Can you issue a dpkg -L x11rdp and see the results? And when I issue a dpkg -L x11rdp I get what a appears to be a fully complete list of what should be there. Would you like me to pastebin the output? It looks like a PAM authentication error – now, I take it you’re just using the standard authentication (i.e. it’s just a standard Ubuntu installation – nothing’s been changed and you log in as a standard system user)? Yes you are correct, standard Ubuntu installation. It’s a clean as a standard installation can get. Installed Ubuntu (setup a single standard user as part of the installation) and immediately ran O-Matic. And yes, I get that exact same output. Hmm that is very odd indeed. I’ll have to test this out in a Ubuntu Precise Pangolin VM. This’ll take a bit of time, as I’m off to Edinburgh university on day 2 of a computer forensics course. I’ll try to set one up tonight and see if I get the same problem. Have a look tomorrow some time for an update. I’ll check back tomorrow and if I figure it out before then I will let you know. Well it looks like I got it working, I am going to setup another VM with the same distro and document the steps I took to get it working (I’ve changed too many things at this point and I’m not sure which one fixed it) and I will post back when I am done! I’ll hold off on my VM testing until you get back to me, then. Well unfortunately I don’t have anything ground-breaking to report. When I setup another fresh VM everything worked perfectly. I followed the instructions on this page and voila, it works. Not sure what happened in my first attempt, maybe I tweaked something I shouldn’t have and then forgot about it, maybe I was using the wrong username (we’ve all had those days haven’t we?) but whatever it was, I can’t seem to figure it out. Many thanks for your attempts to walk me through this, I can now declare that o-Matic works perfectly on a fresh out of the box install of Ubuntu 12.04.3 LTS, Precise Pangolin. but if i want to uninstall all the things installed by the script how can i do?